Life is not fair. Rudi has moved house to the other side of town. Harper is still devastated and not yet herself (who will be when your BFF has moved away for miles!) Even Stanley is not around - his parents have gone for holidays and he has to be in Summer Camp for cats! When Bonnie goes for her walkies in the park, she has no usual friends around at the mo and has to make do with new ones. Some dogs are OK but some are too pesky for her liking. Cats are dubious but they are worth a try. 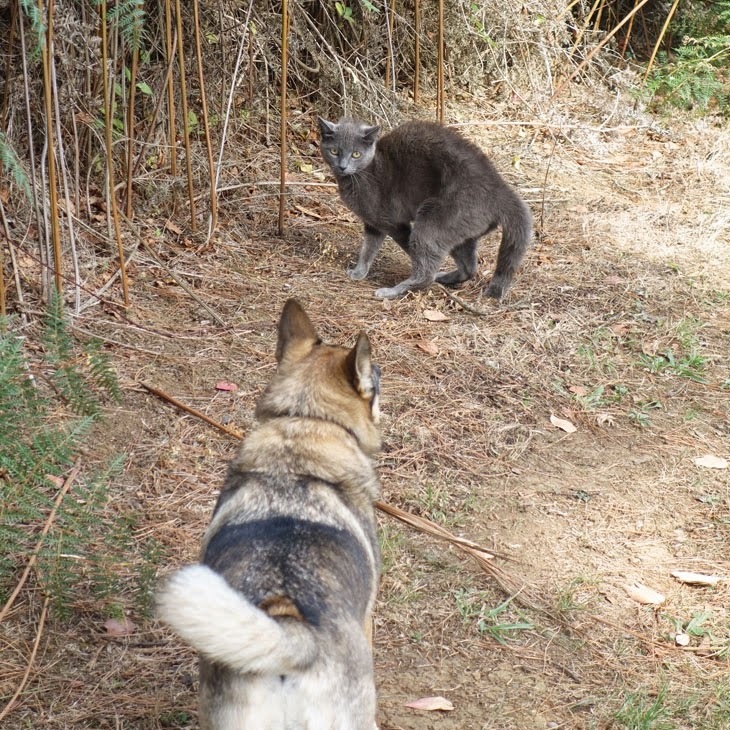 This one is perhaps not the best kind of cats for close encounter. The cat's body language makes her feel a bit iffy. So maybe next time lucky, heh?